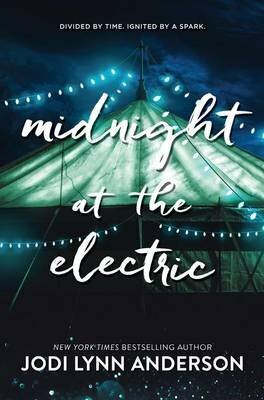 Midnight at the Electric was added to my TBR (to-be-read list) simply for its haunting title, gorgeous cover and the possibility of magic these allude to. But the magic escaped me and I am now left with a burning question… Actually, I had a lot of questions at first as story threads are not very clear (at least to me) and I spent a few hours scrolling back and forth to try and work out what I had missed and how the characters across time intertwine. I worked much it out in the end – who belongs to who and who ended up where. These answers lead to further questions… what happened to everyone? One of the family lines is rather flimsy having neither a history nor a present and I wonder why are they in the story? The characters are unique and interesting but it’s a strange story – so many loose ends… I think I also need closure. Full review: http://crushingcinders.com/midnight-at-the-electric I was voluntarily provided a complimentary review copy by the publisher.